Iconic brands can seldom be brands of a functional nature. They have to be either in look-good or feel-good category. Thus such brands appeal to aspirants or are the lifestyle-driven. They appeal to people with a certain set of values or attitude. Brands do not achieve cult status by sales. For that, they have to become a part of our day to day life. Unless and until people will not identify themselves with a brand, it cannot become a cult. For instance a large number of people eagerly wait for the launch of the Apple’s products all year long. This sort of fan following makes a brand cult. A cult brand is one whose appeal is global and works outside of cultural differences. In recent past, several Indian companies like Airtel, Future Group and Reliance Communications have rolled out ad campaigns distinguishing themselves while making an attempt to cultivate the ‘cult image’, within the nation at least. While Airtel’s brand campaign talks about “Breaking Barriers”, the Future Group sells the idea of India becoming the “Sone ki chidia” i.e. our nation getting back its Golden Era all over again. Whereas the Reliance Communications’ ad campaigns targets the cricket frenzy Indians! They have very tactfully targeted one of the largest groups in the world- by dubbing the game ‘Indian’. It seems they are ridding piggyback on the cricket audience. It’s not just about the brand campaigns and the sales. A company’s values make it cult and eventually give it a large number of die hard followers. Like the Tata group has a large customers from varied backgrounds under one common umbrella. They have been leveraging a long-standing name in the Indian economic scenario. 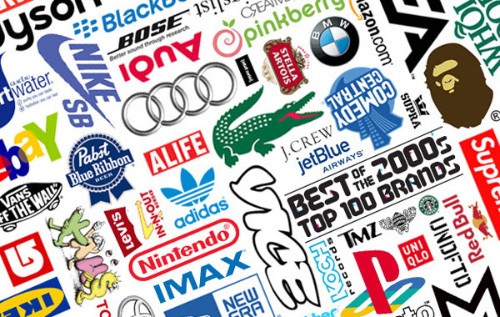 Not all brands have the dash of edginess, devoted fan base, or niche for itself that qualify them to become the “cult brands”. One can look at Maruti-Suzuki in the niche segment. It has been around for a very long time. Almost has at a point owned or used a Marut-Suzuki vehicle. For many, Maruti 800 has been the first car they ever owned. Thus this brand can be easily stated as one of the breakthrough brands in India. Royal Enfield is another in the list. The company is trying to replicate the Harley-Davidson model of building a community of all powerful and regal bike owners in India. “There aren’t very many virgins left.” Richard Branson, the chairman and founder of the Virgin Group bragged that there are only a few brands that have excelled almost in all the sectors of business like they have. As the war to attract new customers and retain the old ones rages, the companies are using a variety of new innovative hooks to lure their clients but have we ever thought what will happen to these iconic brands in case of a crisis? It is during such times that brand with deep-rooted culture i.e. their cult statushelp them to get back right on track. Cult Branding of a commodity does exemplify a shift in the consumer market from the lima bean economy to the edamme economy. It’s easy to forget how much more boring the marketplace was a few decades ago. Recently, there’s been a creative brand explosion, to go along with nichification and segmentation. Companies are much more interested in creating emotional arousal. Hotels, ice teas, sneakers and even ice cream are now marketed to people on the basis of psychographic profiles and the result is a profusion of unusual products and distinctive experiences. Consumers have been educated by the market and now the median level of culture competence is much higher. A basic rule of happiness is don’t but things; buy experiences. The market has taken one commodity product after another and turned it into an emotional experience- even the hotel stays!